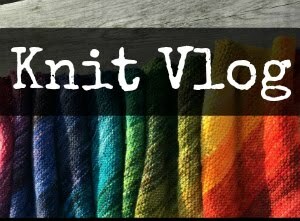 Now that the dust has settled a bit in some other areas of my life, I think the next project for me is going to be revamping and relaunching Knit Vlog. 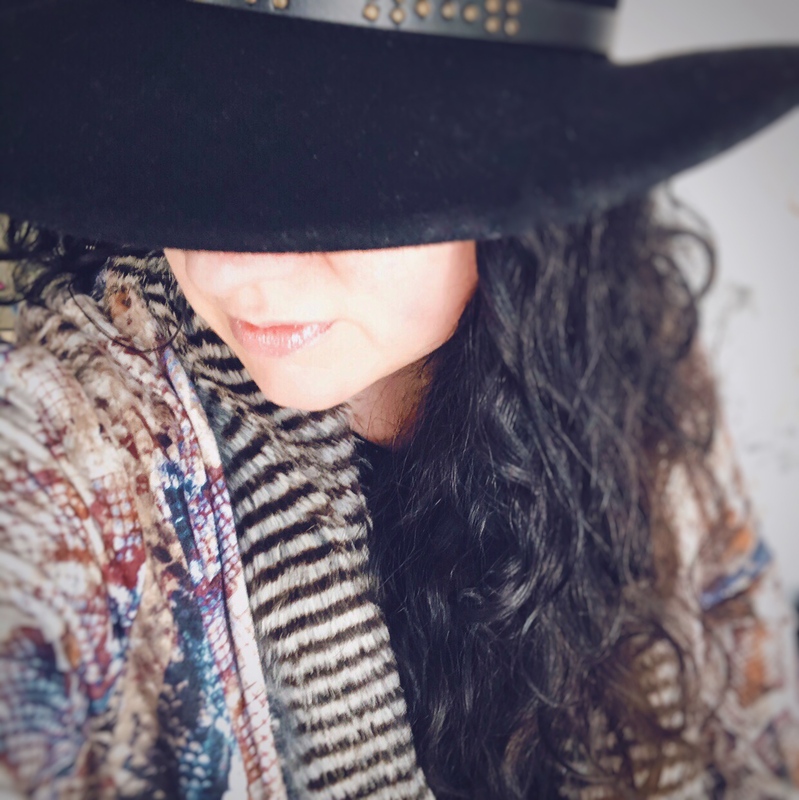 I'm going to slowly start moving over my old knitting posts and will be documenting all of my future knitting projects here. I'll be creating new vlogs and brushing off the YouTube channel, too. I finished a sweater! Don't think that isn't totally making me feel like I'm getting things done this "Finish Sh*t February" either. 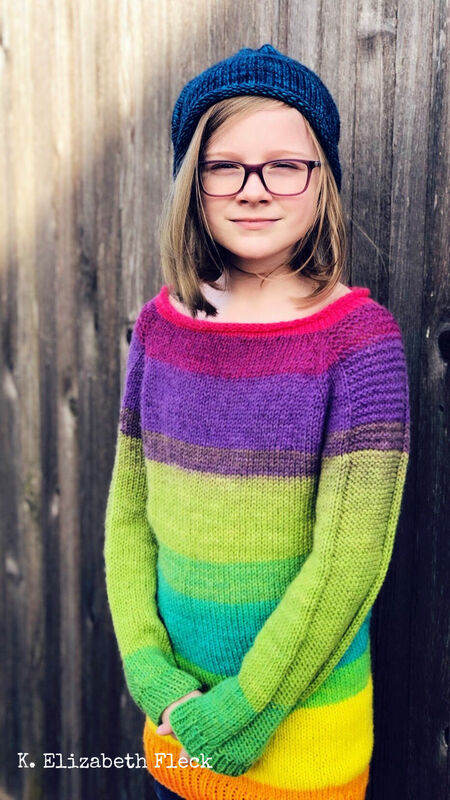 I've had sooooo many projects languishing on the needles and it feels really good to be finishing them up and sending them out to world, or in this case to my daughter Lucy's sweater drawer. Last fall we found this yarn, Lion Brand Mandala in the "Gnome" colorway, on clearance. Lucy was with me and was instantly drawn to it. She asked me to knit her a sweater. How could I resist? I used portions of three different cakes of the yarn so that I could color match each sleeve to the body of the sweater. I didn't finish any cake entirely, so I have quite a bit of yarn leftover of the four cakes I originally bought (little sister has already placed an order for a sweater for herself). I altered the pattern to give it a roll neck, Lucy's preference for sweaters that pullover. She's like her mother in that things too close to her neck aren't comfortable for her. I made a few mistakes, like my accidental pattern modification on the sleeves, but all in all I'm pleased with how it turned out. I don't often knit things bigger than socks or hats, so this was a great confidence builder and learning experience. Best of all, Lucy loves it and that is always my goal when I'm knitting for my kids. I have used an Amazon affiliate link in this post. If you make a purchase using my link I do receive some income. Thank you! Please note that I personally purchased the yarn and needles I used to make this project. The pattern is free. This is not a sponsored or a gifted post. Please note that I have ads on this blog and I use affiliate links. When you click links and purchase items, in most cases I will receive a referral commission. Thank you! Note: my family reads my blog so I do moderate comments here to make sure everyone is being polite and civil. Thank you. 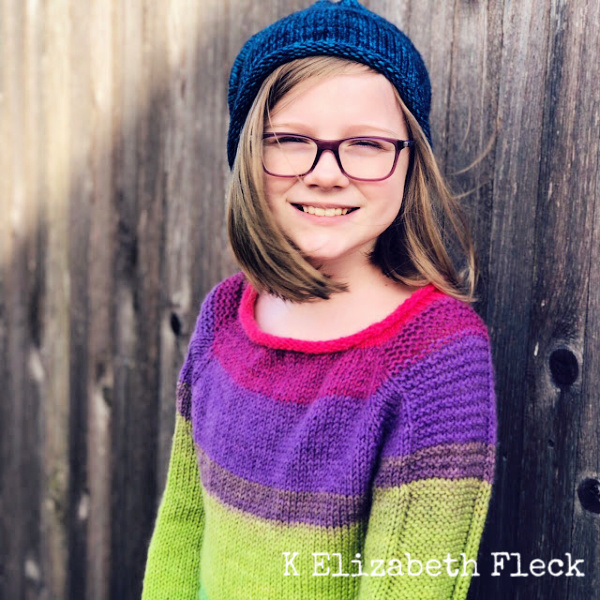 Contents copyright 2006 - 2019 Kara E. Fleck. Old School. Simple theme. Powered by Blogger.